I am a sucker for sci-fi. I can tolerate certain movies that get mediocre reviews and get trashed, but I always try to look beyond what some mainstream critics think because the genre is more interesting than the plight of the mainstream audience. Maybe because I know that a handful of audiences can’t relate to the pure science and the scientific theories that embody the experience. The Wachowski Brothers gave us the Matrix, or did they…? It was proven on one of my older posts that the film was written by an African-American woman, and she was severely snubbed of any credit. After watching the rest of the films that they have been dishing out to us like Cloud Atlas, Speed Racer, and the two horrible Matrix sequels, it is seriously getting ever so clear that perhaps Sci-Fi might not be their forte. 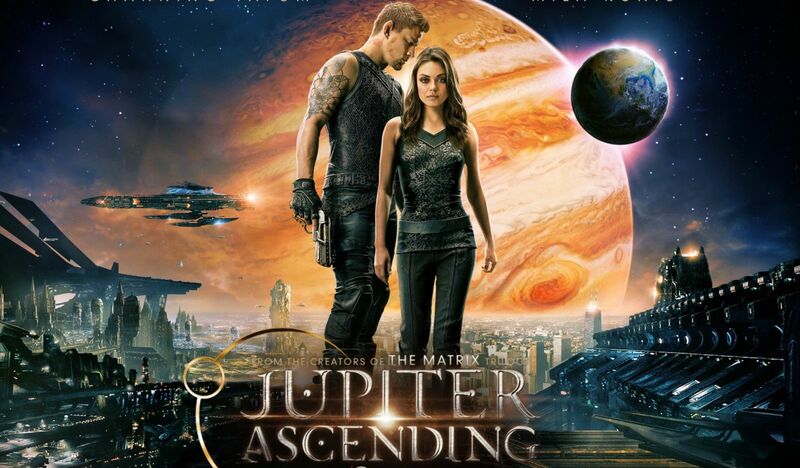 So I finally saw the honest trailer for Jupiter Ascending, and I can only tell you and advise you as a Sci-Fi enthusiast: DO NOT BOTHER TO GIVE THIS GARBAGE MOVIE A CHANCE. LISTEN TO THE TRAILER BECAUSE THERE’S NO SUCH THING AS A SPOILER WHEN YOU HAVE TO WATCH CINEMA TRASH WITHOUT JAMMING A KNIFE THROUGH YOUR CORNEA. Enjoy.